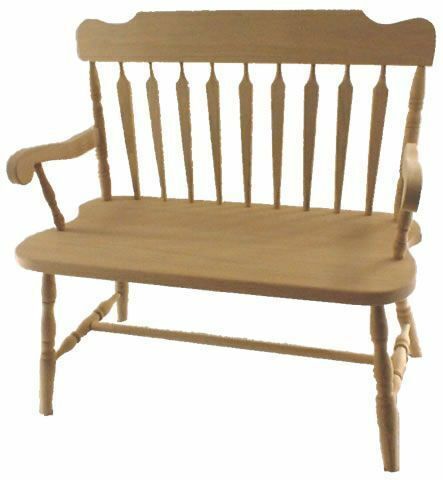 The Amish Solid Wood Deacon's Bench is a solid wood bench that makes a great addition to a country style kitchen, entryway, hallway or living room. Features paddle shaped slats for back support, graceful arms and turned legs. Amish made and built in your choice of wood with three sizes available to best fit your space. The Deacon's Bench is handmade and comes from an Amish woodshop in Ohio. Imagine your new bench being carefully crafted in an Amish woodshop with the custom options you've selected. We can't wait for you to see your new Amish furniture. Order online, email or call today to speak with an Amish Furniture Specialist.